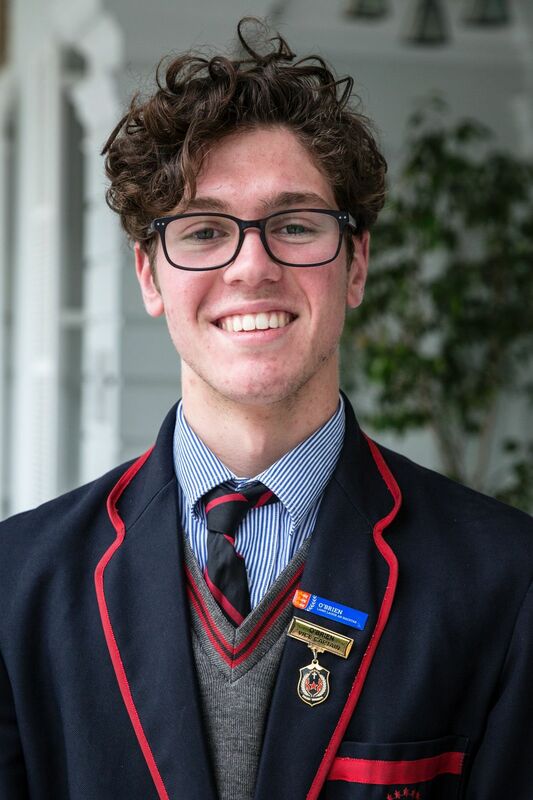 Term 2 has been another busy term with a number of new initiatives being run by the Prefect body. Some of the new initiatives undertaken included Wednesday Morning Pancakes and Milo, Lace up for Lynne which was run in conjunction with the football teams, and the Prefects' Streetball League. Both the Wednesday morning Pancakes and the Streetball League were instigated with the aim of raising much needed funds for our charity, Edmund Rice Camps South Australia (ERCSA). The pancakes were well received with many boys taking the opportunity to eat a hot breakfast on a cold winter's morning, with a warm milo in the other hand. The funds raised enable us to continue to raise money for ERCSA, exploring more of the Charity aspect whereas in the first term we explored Advocacy. The Streetball League was a round-robin 3v3 basketball competition that allowed boys from all year levels to enter a team to compete for Streetball glory. The three different divisions were for Years 7-8, 9-10 and 11-12. To cap off the term, there is a teacher vs student basketball match. The Lace up for Lynne initiative was undertaken to raise both awareness and funds for Breast Cancer, and was run with the Year 10's, Thirds, Seconds, and First Football teams. The day involved the football teams lacing up their boots with pink laces to show our support and solidarity in finding a cure for a disease which probably isn't talked about very often in our male dominated community. It's an issue that may affect someone close to us and it is hoped that by us introducing this we can raise a greater amount of awareness. It was great that Immanuel's First and Seconds took also participated by using the pink laces. Overall, the first semester was an exciting and productive period, with Term 3 promising to be even busier. "The journey of 10,000 miles begins with but a single step". What a journey 2017 has been thus far, amidst the mayhem of schoolwork, assignments and ominous deadlines, the Rostrevor men have had time to unveil their true character in following the footsteps of Edmund Rice. Friday Night Hang Outs, a Social Justice Group initiative in conjunction with Build the Bridge Volunteers, has been running throughout the term and has most certainly brought great joy and harmony into the Adelaide community. Rostrevor lads have been attending in abundance to help support the night and ultimately have an enjoyable time which is truly the essence of each event. The Mabo Day footy match was also a fine demonstration of the personification of our year's theme "See Further", which the young men of the College have truly adopted. The boys have been willing to "See Further" past the differences which ultimately make us the same, bringing greater strength and unity to Rostrevor as a whole. The latter end of anything, whether it be a race, a training program or your final year of schooling, separates those who aim to achieve greatness and those who do not. My challenge to those reading this today is to finish what you started with nothing left in the tank. Do not let the ignorance of those 1% efforts accumulate and hinder the greatness you can and will achieve if you are willing to give it your all. That 10,000-mile journey may seem distant but we have to begin somewhere. The foundations for success at the end of 2017 have most certainly been laid as we now come to the halfway point of the school year. However, it is imperative that our community comes together in true Rossi spirit for the remaining time, to support one another, when times will most certainly be tough. Good luck and God bless. Term 2 has been quite eventful in the Boarding House. Earlier this term the boys from Duggan House travelled to Loreto College for the Boarders' Mass and the Annual Netball match. With Loreto being Rostrevor's sister school, it provides the boys the opportunity to socialise and meet girls from different country areas. 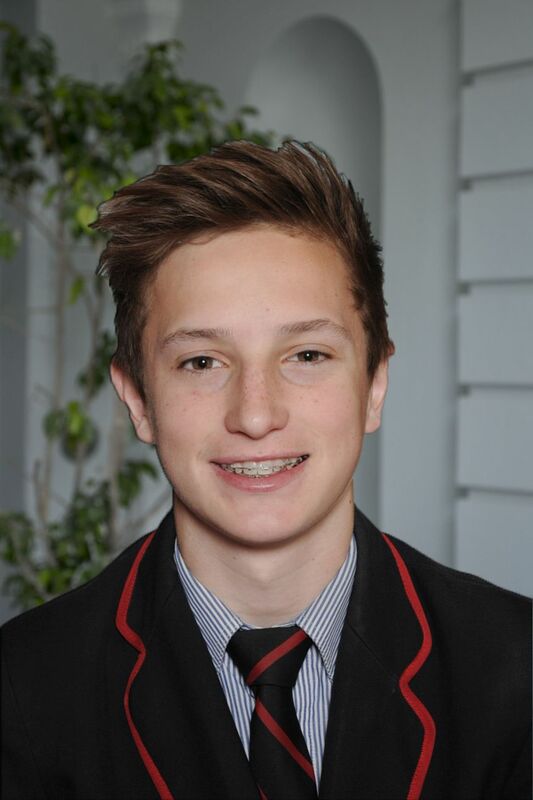 On 5 June the Annual Boarders' Reconciliation High Tea was held. We were lucky enough to have ex-Port Adelaide Power player, Marlon Motlop, as our special guest. 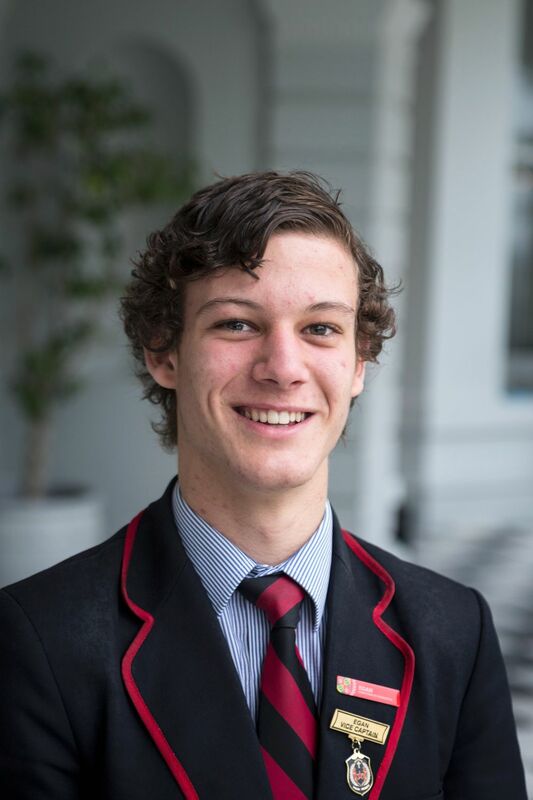 Marlon stressed the importance of taking the opportunities that we receive here at Rostrevor College. Marlon also gave us insight of what his rollercoaster pathway into the AFL looked like. This night was special seeing both the Indigenous and Non-Indigenous boys come together as one. In saying that, I would like to congratulate Charlie Pietsch, recipient of the Reconciliation Award for a non-Indigenous boarder who displays care for the Indigenous boys within Duggan House. Midway through the term, Duggan House was lucky enough to be host for Oliver O'Halloran. Oliver became the youngest person to circumnavigate Australia unassisted. 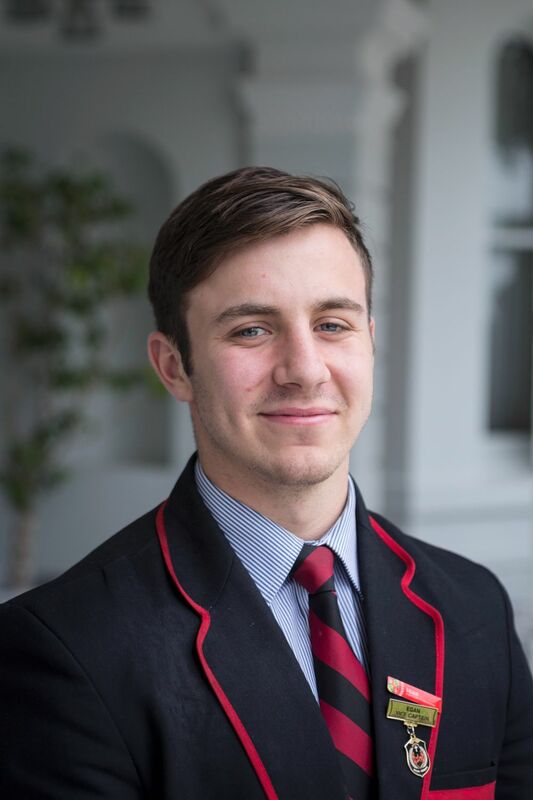 While on his travels Oliver stopped at many Boarding Schools to talk and inspire students. He spoke to us about having a goal and being 100% fully committed to that goal. Oliver challenged us to think about our goals and to go out and achieve them. This term has been quite busy with Winter co-curricular. There have been mixed results from our First XVIII, but the effort that the boys have put in each week cannot be faulted. It's been great to watch the new students fit in within their respective teams and perform well. 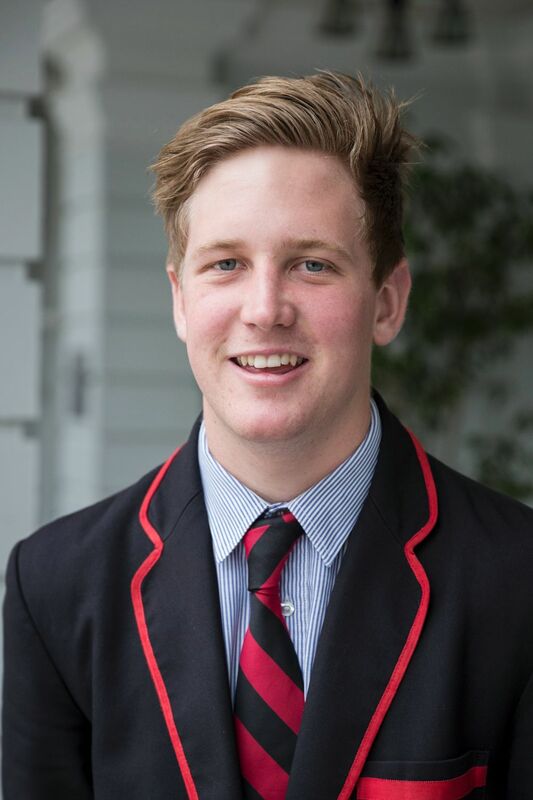 On behalf of Duggan House, I would like to congratulate Harrison Petty (Wudinna) and Darcy Fogarty (Lucindale) on being selected to represent South Australia in the National Under 18 Football Championships and Jacob Kennerley (Cummins) and Cameron Taheny (Cleve) on being selected in the Under 17 & 16 South Australian Football Teams respectively. It's great that these boys are being rewarded for all the hard work and dedication they've displayed over the pre-season. In Term 3, Duggan House will host the Loreto Boarding students for Mass, followed by dinner and then a Touch Football match on the Main Oval. I would like to wish all the Duggan House boys safe travels as they start to head home for the holidays. It is safe to say that the College Prefects have achieved much this term. The Prefect body has continued our participation in volunteering activities, such as Smart Work Sessions and providing assistance to the Junior Years; however, we have also strived to consolidate the school's motto, "See Further", by partaking in some new initiatives. As mentioned previously by Flynn, we have worked hard to raise money for two very important charities. 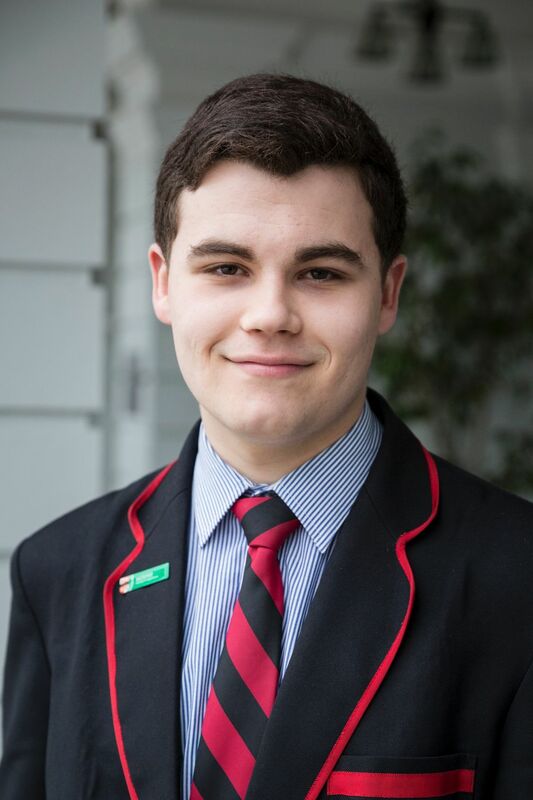 Firstly, Edmund Rice Camps, an organisation founded by the Christian Brothers, which involves young volunteers running camps to provide disadvantaged children with a fun experience which they may not otherwise have the opportunity to participate in. Our second fundraiser for Breast Cancer, with our "Lace up for Lynne" initiative, in honour of Lynne Brooks who recently passed away from breast cancer. As Term 2 concludes, we now look to Term 3. In the daily work that we undertake as Prefects we strive to have an impact on our school that cultivates kinship and leadership for all students. The Social Justice Group have had a busy few months preparing ways to raise awareness for key issues in our global society. 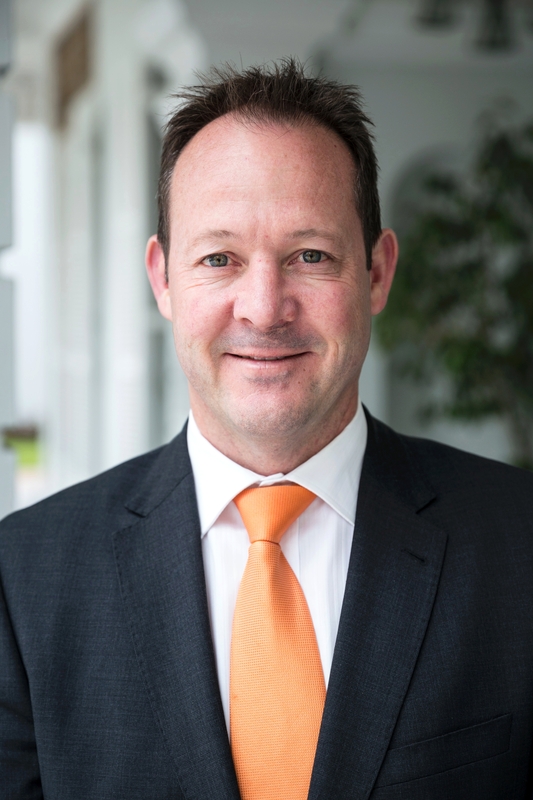 Last term saw the focus for Harmony Day reflected in a Detention for Detention initiative. This took place in the Valley and involved giving students the opportunity to stand in solidarity for children in detention under Australia's name, due to government policy. The demonstration was a success with over fifty students and teachers taking part in the stand in solidarity for refugees. In support of National Reconciliation Week, for the second year the Social Justice Group hosted the Mabo Day football match, which celebrated an important day for Aboriginal and Torres Strait people and reflected onEddy Mabo in his fight for overturning the legal fiction of terra nullius (land belonging to no-one). The match was well received by students who had a bush tucker lunch and watched the Lingari Lizards take the win over the Gurrumul Goannas for the second year running by 16-points. 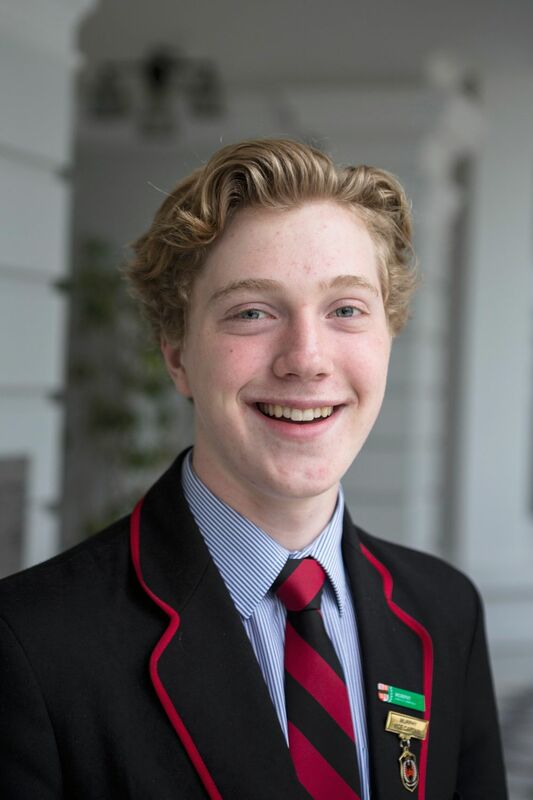 As part of the recent Refugee Week, one of the Social Justice Group's members, Alex Cusack, is undertaking the Act for Peace Ration Challenge which involves eating the same rations as a Syrian refugee would receive for one week he will raise over $1600 following the week-long challenge. To further promote an awareness of the conditions some people must bear in seeking safer shores, a display has been set up in the Mackey area which highlights to all students the daily rations a refugee receives. In other news, Build the Bridge's Friday Night Hangout returns to Rostrevor on 28 July; I encourage anyone who is interested to get involved. During Term 2, one of the major talking points among the Year 12 cohort was the topic of Memorabilia. As a Prefect body, this has been one major focus of our weekly meeting. As a group, we came up with a list of items which were then surveyed among the Year 12's to help us decide on the final five products that would be made available. Following this process, I was elected to co-ordinate all memorabilia matters on behalf of the Prefects, including the design process. With the help of current students and budding graphic designer, Domenic Scopelliti, we created various design concepts for each product. During an extended Pastoral Care class, myself, Domenic and Mr Pezos, gave a short presentation on the process to be undertaken regarding Memorabilia. This gave each Year 12 student an opportunity to see the various designs, allowing them to give feedback and ask questions regarding the process, with Mr Pezos providing a brief insight to the rules of the College regarding the wearing of Memorabilia. The designs have now been finalised and it gives me much pleasure to present to you the Class of 2017 Memorabilia range. Families of Year 12 students should have received communication from the Principal's office recently. Memorabilia will be available for purchase via Qkr from 26 June to 28 July 2017 by clicking here or by simply scanning the QR Code below. Queries relating to memorabilia can be addressed to Ms Stefanie Caruana - Principal's PA on 8364 8301 during office hours. As Term 2 comes to a rapid close, it has been an extremely successful period for both the College and for Barron House. I would like to personally extend my congratulations to all of the new Barron students who now feel part of the Red & Black family. I would like to acknowledge the elected 2017 Barron House Vice-Captains for all of their hard work and commitment in ensuring that our House has functioned efficiently. Our term objectives to aim high, to contribute and most importantly, to continue to build an even greater Barron House and entire College have been displayed with absolute passion and pride within the school yard and behind the scenes. The theme for 2017 is to "See Further" which directly relates to the Rossi moto of Palma Merenti, meaning 'the reward to the one who earns it', as it encourages each of us to be the best that we can in every aspect of life. Throughout Term 2, the boys have all embodied the true qualities of respect, solidarity and compassion towards one another and acting as true men for others. 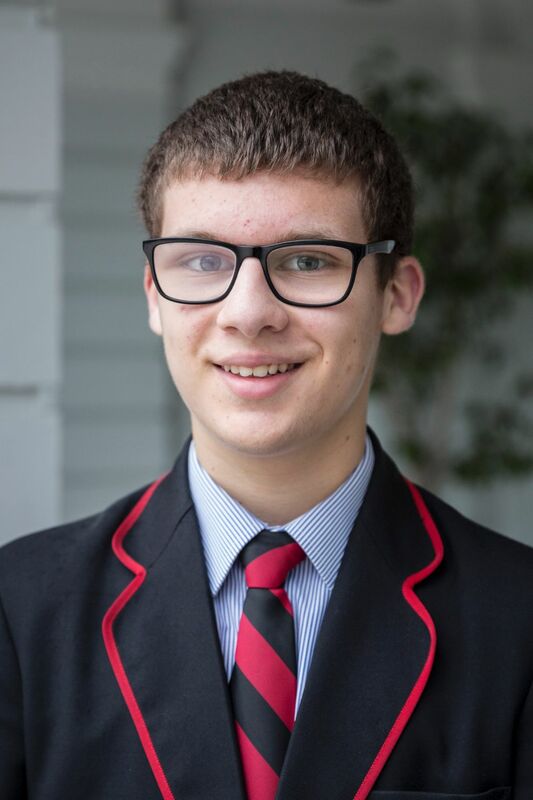 The focus for the term in Barron House was to improve the academic performance, and it has been extraordinary to witness a significant development in results. Numerous Barron young men have participated in the rejuvenated Friday Night Hangouts and Catalyst Programs which strive to inspire change in our contemporary society. In addition, Barron House has accumulated a large sum of donations from various initiatives and fundraisers, through House Colour Day along with the weekly Chapel and Kelty gatherings. These funds will no doubt considerably increase in the coming months as we aim to reach our fundraising goals which are donated to our annual House Charity, Edmund Rice Camps. A significant amount of money was also raised for a good cause in Projection Compassion, enriching the lives of the less-fortunate people overseas. 2017 continues to be a highlight for all as the Rossi pride has never been stronger, let's continue to build upon this in the upcoming months and "See Further". It is amazing to see the large crowds attending many of our co-curricular events, as well as witnessing the very pride we show within our Pastoral Care system. Remarks are often made about how well we are building upon our rich history, starting new traditions as well as reincarnating the old. I am looking forward to the remainder of the school year, as I'm sure many other students are. 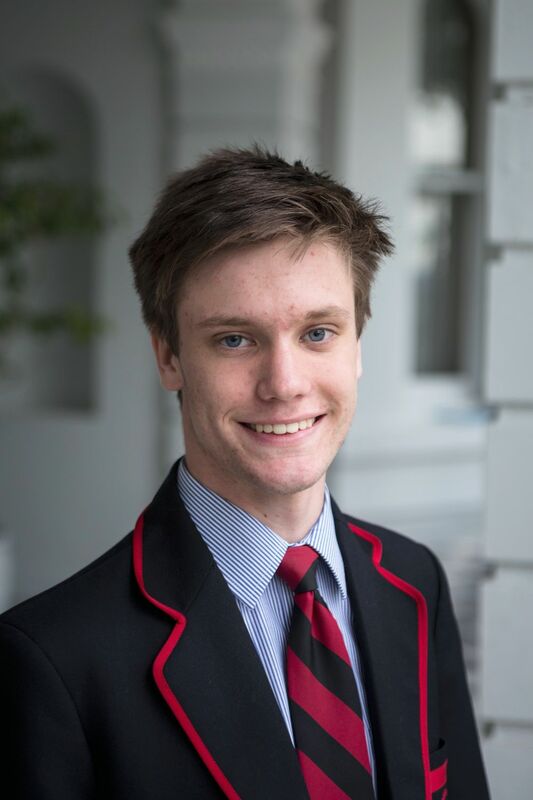 Next term is very eventful for Barron House, with Marian Day, Athletics Carnival and Blue Week all occurring in the opening half of the term, creating a very busy yet enjoyable start to Term 3. Good times come and go, but the memories at Rossi will last forever. If plan A didn't work so far, the alphabet has 25 more letters! After all, "today is a gift, that's why it's called the present". Never forget that we are Rossi Brothers for life. After a rewarding term, I would like to wish all members of the Rostrevor Community a safe and happy holiday period. Term 2 2017 for the Egan cohort has continued very well. Egan House has continued with its tremendous charitable work; we have continued Friday morning BBQ's which have proven to be a success so far due to its popularity. Another charity opened up towards the end of the term, raising funds for those who are struggling over in Syria. One of our own Egan boys was empathetic enough to undertake the Ration challenge, which required him to live off of the same rations as a Syrian for one week, consisting of 1300 calories a day. 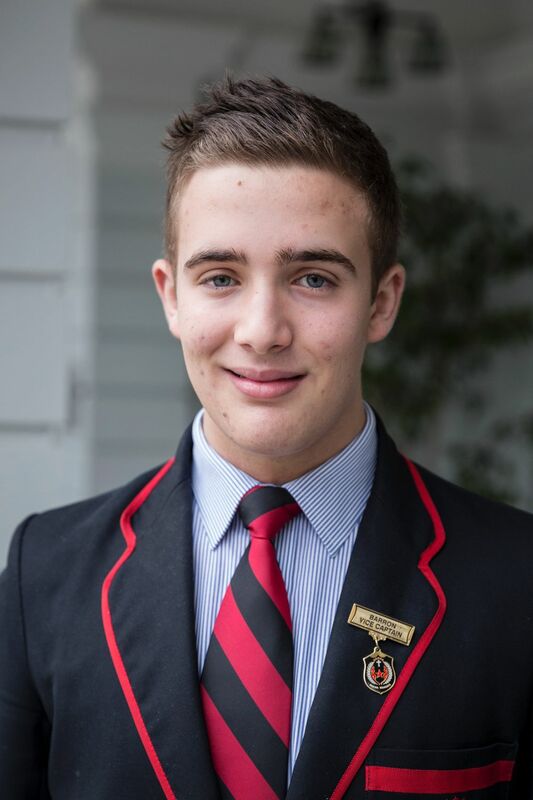 With the support of Egan House and the Rostrevor College cohort he was able to raise over $1600. As for the remainder of the year, Egan is still striving to produce awesome academic results, in order to take a higher place in the 2017 Academic. We are gunning to take out the Athletics Carnival in this coming term and retain the Shield for the fifth consecutive time. As the days have grown shorter and the mercury drops, the leaders of Gurr House have begun our first long term fundraising initiative for 2017. We decided that instead of raising money for a cause, we would instead endeavour to display advocacy by passing our own unwanted items of clothing and warmth to those who are sleeping hard on the streets. On any given night 1 in 200 people are homeless across South Australia and as we approach the middle of winter, conditions are even harder. We are privileged in Gurr House to work with our own Pastoral Care teacher, Mr Tony Purvis, who currently volunteers at the Mary Magdalene Homeless Shelter in Moore St, Adelaide and is able to pass our items directly to someone in need. I encourage all members of the school community that if you have any unwanted items of warm clothing or blankets in good condition, please drop past Room 13 one morning or contact me via email: cavuoj1@students.rostrevor.sa.edu.au to arrange a collection. For Term 3, we as a House look forward to growing this initiative by arranging for Gurr students to accompany Mr Purvis to the homeless shelter to distribute the items and provide service. We are also looking forward to the other events of Term 3 including the Athletics Carnival and Marian Day. Finally, I would like to wish everyone a safe and well deserved holiday break. Throughout the second term, Murphy House has been working hard in many of our own areas. A busy term for most, individual pursuits have been at the forefront of the term's activities. 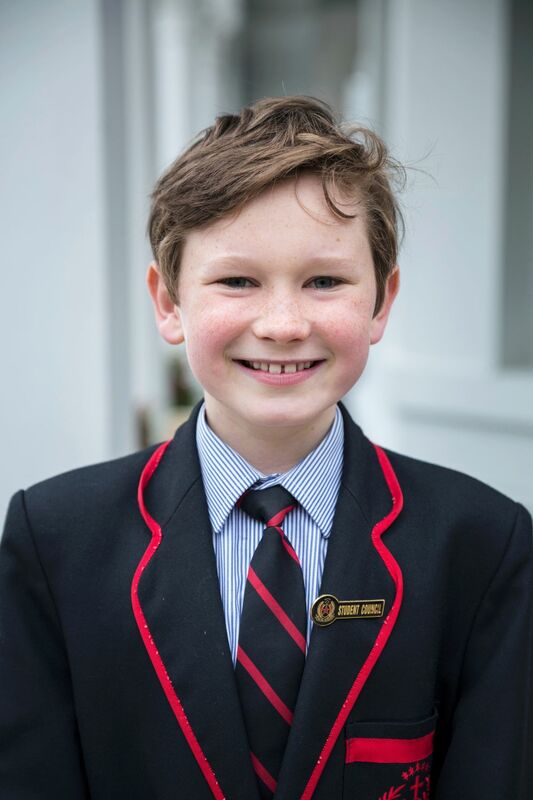 Many of the hard-working boys of Murphy House have been awarded with Principal's Awards, Christian Brother Awards, as well as Palma Merenti Awards. For all award recipients, I congratulate you and thank you for your continued hard work, rest assured it does not go unnoticed. With co-curricular activities really picking up in the second term, I congratulate everyone who has thrown themselves into sports, music or debating. I encourage everyone to continue attending all training or rehearsal sessions to ensure that you are selected for games, performances or meets. In Week 4, the Year 11's departed for their Retreat. After experiencing this event last year, I truly understand the importance of the Retreat, and hope that you connected to the rest of the House; these relationships will only flourish further as you conclude your Year 11 journey and look forward to Year 12. Throughout the holidays, I encourage each of you to carefully revise your reports, understand the areas for improvement and look toward improving on your results next semester. Enjoy the well-deserved break and I look forward to seeing you next term. O'Brien House has continued to power through 2017. Despite being deep into the academic year, our House is stronger than ever. The new students are well and truly settled by now and have contributed magnificently, truly showing what it means to be an O'Brien boy. Our spirit is not fading, with the students primed and ready for Athletics Carnival in Term 3. The new program, involving House year level meetings, which was initiated in Term 1 has continued and speaks for itself. PC lunches have also commenced, being led by Vice-Captains. They provide a vital morale boost and create a great sense of community. The Year 11 boys also went away for their Retreat, which was a wonderful unifying experience for the cohort. The efforts of Mrs Genner are greatly appreciated by every single member of O'Brien, and we wish her the best for the break she well and truly deserves. Damien Pipicella and I would also like to thank the efforts and contribution of the whole House. Throughout Term 2 Webb House has been a time of progress and planning. We are currently on top of the Academic Shield; a great feat! As in other inter-House competitions often it's never a whole House effort; however in regard to the Academic Shield the whole House must contribute in order to be successful. Webb House is also looking forward to Term 3 when the whole school walkathon will take place, and is our House's major fund raiser for the Hutt Street Centre. The Walk a Mile in my Boots event will also take place in Term 3. This charity event is held in the city and gives Webb House students an opportunity to help raise awareness for the homeless in Adelaide. Term 2 showed some great progress, but we are looking forward to all the events to come in Term 3. We are both extremely grateful to be given the task of explaining what has happened this term in the Rostrevor Junior Campus and hope that we are able to provide you with some information you weren't aware of. Starting off this term, the Rostrevor College community came together to celebrate the greatness of our idol, Edmund Rice. This magnificent day started with a whole school Mass and House gatherings to learn more about Edmund Rice's legacy. After this we all gathered our tokens and headed out for the most popular part of the day! This included a variety of different stalls including food, fundraising activities, with the bouncy castles and pretty much everything that you could win lollies from being big hits. All the money raised goes to the Indian Pilgrimage. We were very fortunate to have many spectacular performance incursions such as the annual Alpha Show performance of Beauty and the Beast. We love these shows as they are interactive and hilarious and always get us all on our feet and dancing. We also attended a performance called "Being Brave". This heart-warming show encouraged us to be brave even when things aren't going our way. In Week 3 the Year 6 Leadership Group was fortunate enough to be involved in a Leadership and Mentoring Retreat at Rostrevor run by the Australian Council for Health, Physical Education and Recreation (ACHPER). We were joined by representatives from many other schools and had the opportunity to meet new friends and learn new mentoring skills to bring back to the classroom. This helped us to understand what being a leader ¡s really about. 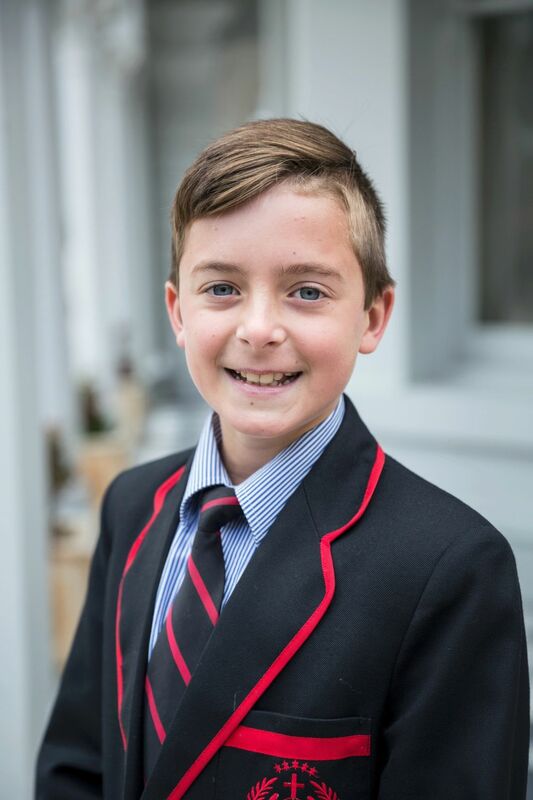 In Week 6 a group of eight Year 5/6 boys ventured to St Peter's Collegiate Girls' School for the Da Vinci Decathlon, an academic gala day where 24 schools all competed for the grand prize of a jaw dropping trophy. St Peter's was the winner; better luck next time, Rossi boys! On Friday of Week 7 the Junior School Rock band performed in the highly entertaining Battle of the Bands, hosted by Rostrevor. Many different bands from other schools come together and perform, including some almighty rock. In Week 8 the Year 3-6 boys competed in their House teams for the Junior Years Cross Country event. It was a very tight contest as all boys gave it their best but it was the Gurr boys who came out with a win this year. We would like to thank all the parents who helped out on the day and Mr Hingston for his hard work organising the event and training all the boys for the event. Another big event for the Junior Campus was the Reception, Year 1 and Year 2 Auskick boys playing at half-time on Adelaide Oval at the Hawks v Crows game on last Thursday. Even though the mighty Crows didn't come out with a win, nothing could dampen the spirits of those boys after playing on Adelaide Oval! Friday of Week 8 provided an opportunity for Junior Years students to attendan excursion to the Pepper St Art Gallery. We learnt all about how light plays such an important part in art and loved experimenting to create our own piece of art inspired by the new skills we learnt. To conclude our final week of term, the Junior Campus held a Year 5 Brass and Woodwind Concert with all the boys performing together in classes. The Junior Years Jazz Combo also performed. Events such as this show how much Rostrevor College doesn't just focus on sports; were also very enthusiastic with our music. The boys performed extremely well and we hope they will continue with their individual music program next term. The Brass and Woodwind Concert was only one of the ways to end our semester. The other way we like to end our term is by the year 6 Leadership Group organising a sporting tournament. This term we held a World Cup Soccer Tournament for the Year 3-6 boys and just so the smaller Junior Primary boys don't miss out on all the action we held a Mini-Tournament during recess. Everyone was rearing to go and take the glory! This term there have been a number of different sporting events such as the Catholic Schools Carnival, where we won by percentage but unfortunately forgot to bring back the trophy for the sixth time in a row, losing by a total of only six points; once again, better luck next time Rossi! This term our brilliant Rossi boys have been competing in a number of different weekend sports. The biggest reflection of weekend sport this term would have to be the Intercol matches against Sacred Heart. Another change this term was the announcement that Rostrevor College's Junior Years Basketball Program was invited to play in the new fitness centre, the ARC. We have really enjoyed playing there and hope this continues. We have both enjoyed running you through the main events of Term 2 and can't wait to fill you in with what's happening in the Junior Campus next term; this is Charlie and Thom signing out for Term 2. Our Year 9 Soccer team has moved to the next round of the State Knock-out competition with a comprehensive 11-0 defeat of Unley High School. Both teams went into the game undefeated but Rostrevor were red hot from kick-off with best on ground Noah McNamara scoring a hattrick in the first 10 minutes of the game, finishing with 5 to his name. Luke and Daniel Frangakis fully controlled the midfield to also make it into the best players. 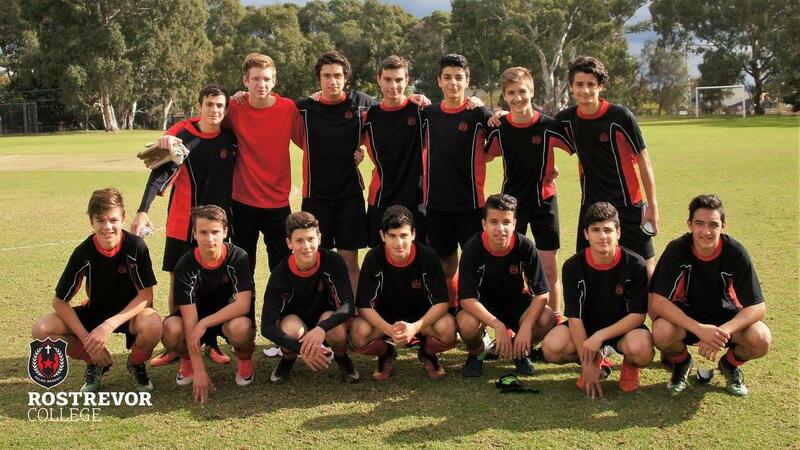 The team is looking forward to their next fixture in early Term 3. 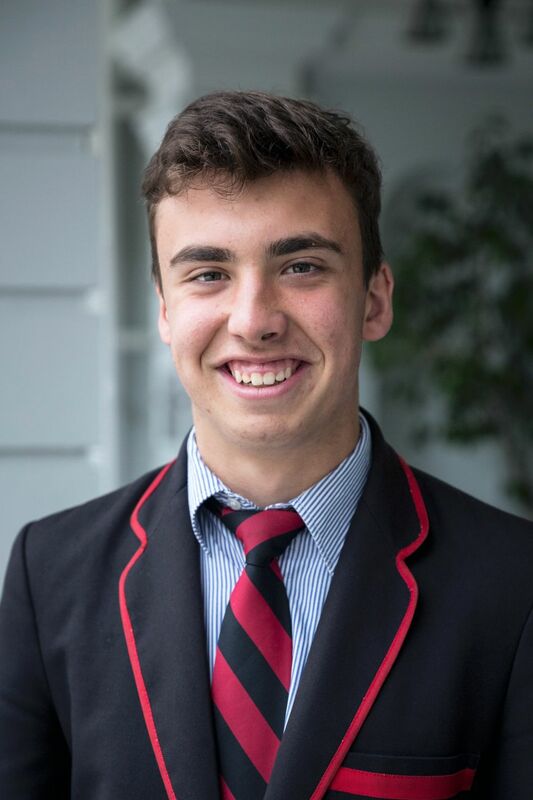 If your son, be he a current or past scholar, has made any significant achievement in an activity outside of the College, please pass this on to me via email to mvickery@rostrevor.sa.edu.au or by phone, so that I can include his achievements in the weekly newsletter. An outstanding win against a very strong team whom we had not beaten in 2 years, despite the loss of key players Jake Slivak, Hamish Shute and James McGuinness to injury during the knockout footy earlier in the week. The boys got off to a slow start but kicked into gear in the 2nd quarter, slamming on 6 goals to 1 to take a commanding lead into half time. The stoppage work from Ned Carey, Xavier Tranfa, Tom Cusack and Elliott Murada was clinical once again, whilst Ben Browne, Raheem Betts and Lewis Matsis caused havoc when the ball hit the ground with their intelligent ball use and creativity, supplying leading forwards Matt Dnistriansky, Samuel Rahaley and Jack Thoday with quality ball inside 50. The resolute defence was once again led by Morgan Crabtree and Emmanuel Deng who let little through after quarter time, with outstanding support from Harry Scholtz, Hamish May, Darcy Richards and the Greenwood brothers. 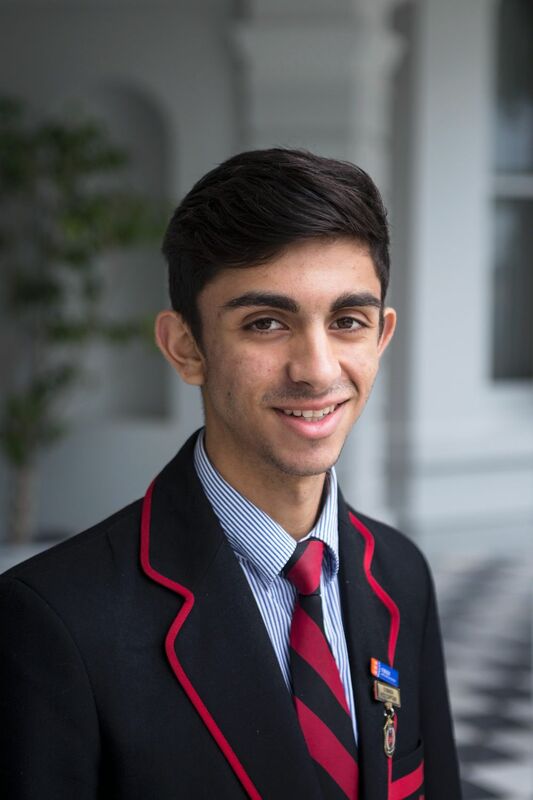 Special mention to Christy Saji who was given a lockdown role on Pembroke's best player and he not only blanketed him but got a lot of his own ball on the counterattack. The team continue to develop extremely well and are demonstrating a strong team-first mentality which is the most pleasing aspect of the group. Our round 7 game saw us in a big game against an undefeated PAC outfit. This match was played on a Thursday night at the "The Parade" oval, with the game counting towards the "Knock Out" Cup. Playing at this historical venue, with a bit riding on the outcome, both schools were very keen to do well. We welcomed back a couple of players from state duties but were still missing a number through the other state squads and injuries. Low numbers again presenting another a great opportunity for other players to step up against quality opposition. The game started very similar to our first encounter. Both teams showed a fierce attack on the ball as both teams applied strong pressure to each other in a high quality encounter. Both teams had moments of dominance but like the first game we didn't take enough care of the ball when we had possession. Under pressure we panicked with the ball often kicking the ball forward without much thought and moving away from our game plan. PAC were able to handle the pressure and big moments better and again able to capitalise on the scoreboard with very accurate finishing going into the half time break, kicking 7 goals 2 behind. We certainly had our moments in the first half. We only had 1 inside 50 entry less than PAC in the first half but we missed some easy shots on goal not allowing us to provide any scoreboard pressure and we went into the break with a 1 goal 6 behind score line and a deficit margin of 32 points. The 3rd quarter was a disaster for us. We lost a few players in quick succession to injuries (a couple unable to return to game due to nasty head knocks) making things chaotic on and off field. We became unsettled and lost our focus towards the defensive aspect of our game as PAC took full advantage opening us up through the middle of the ground and running us off our feet. PAC opened up a 51 point margin at ¾ time. We were able to re-group at ¾ time and knowing we couldn't win the game we set about refocussing on getting back to playing our game plan and style. Our last quarter both effort wise and game play wise was good. We were able to win and control more possession and defensively we were able to close off the oppositions exits much better. Both teams were able to kick 4 goals each for the quarter but the way we went about playing was much improved. PAC eventually running out winners by 51 points. Our effort throughout this game was good and it was pleasing that we played the game out right to the last minute. Going forward as a group we just have to get better at using the ball under pressure and defensively not giving the opposition an opportunity to hit targets and control the ball. Wyatt Fraser in the ruck had his best performance for the season. Despite not being overly tall for a Ruckman, Wyatt possesses a great leap and some of his ruck tap work was fantastic often giving our midfield first look at the ball. Harry Petty started a little slowly down back but when moved forward he provided us a strong target to go to and finished with 3 goals. Darcy Fogarty still learning his craft as a midfielder had moments where he showed his talent and the reason why he is an expected high draft pick. Mitch Gum again continued his good form down back and Tom Matsis had some dangerous moments up forward. Tom would have been much high in our best players had he not missed a couple of easy shots on goal but he is getting himself more involved in the game which is pleasing. We now have a 3 week break before commencing our final run of 4 very important games. Yes PAC in 2017 appear to be a level above all the other schools as all schools have struggled against them thus far. We certainly consider ourselves at the head of the rest and we give ourselves every chance of winning the last 4 games and continually improving the level we are playing at.